Another snow day… which means…. Another snow day, which means time for more electrical improvements. 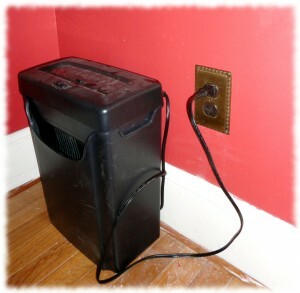 The library/study had only one electrical outlet installed. And with an unfinished basement, adding more outlets is a quick morning project. 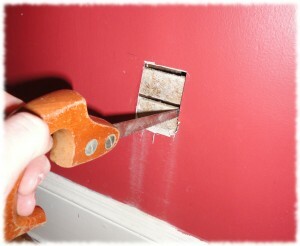 The first step is to locate the outlets and cut a hole for the new box. I had to be careful to make sure that I didn’t cut over a stud. On this house, the studs aren’t evenly spaced, so it is a guessing game (and starting with a small hole). After cutting away the plaster, I carefully cut the lath boards. I have learned that it is easiest to almost cut all the way through one side and then cut the second side. If you cut one through the lath the entire way, the board moves a lot, making the second cut difficult. Carefully cutting the lath boards. After cutting the hole, I measured the location of the new outlet from the outside wall corner, and then from the basement carefully drilled into the wall cavity. 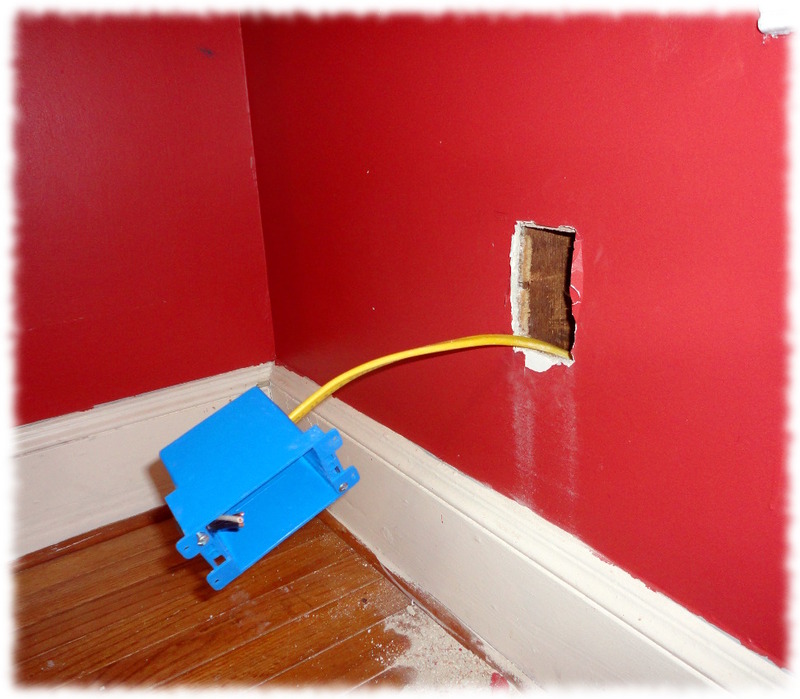 There is no insulation in the old walls, so fishing the wire is easy. Fishing the wire is pretty easy in an un-insulated wall. Just measure the location so you drill into the right cavity in the wall. After running the wire to the three new outlet boxes, I wired them into the house circuit and tested to ensure that the wiring is done properly. I then installed the wall plates and vacuumed up the plaster dust. The project was done by early afternoon. New outlet installed. The floor and shredder still needs to be dusted. I am still working on finishing the hall ceiling, but am unable to get drywall today because of rain/snow. The new light fixture for the hall has been ordered, but has not arrived yet. I have a couple of other small (non-electrical) projects to finish, and may find time this evening. Maybe the next snow day I’ll add a light switch and outlets to our bedroom.